Paul McGinley will be concentrating on his playing career rather than the Ryder Cup for the next six weeks. 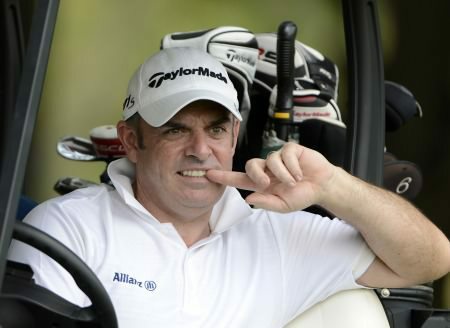 Picture via OneAsia.asiaNewly appointed Europe captain Paul McGinley is going to “park” his Ryder Cup responsibilities for the next six weeks and concentrate on his own golf game, starting with today’s OneAsia’s season-opening Thailand Open. The Dubliner has thrown himself into his new role since being chosen in mid-January to skipper Team Europe at the 2014 Ryder Cup with planning meetings and a visit to Gleneagles in Scotland, the venue for the clash with the Americans in two years’ time. However, he believes the time is right to enjoy being a golfer again for a spell although with close friend and three-time Major champion Padraig Harrington and last year’s winner Chris Wood also competing in the Thailand Open, his Ryder Cup radar will still be switched on. McGinley, 46, said that it would be a huge challenge keeping his golf game in shape in the lead up to the 2014 Ryder Cup and knows that history is against him. “It is a challenge, there is no doubt about that. I think history proves that being Ryder Cup captain always takes a toll on a captain’s playing career,” said McGinley, famous for holing the winning putt for Europe in the 2002 Ryder Cup at The Belfry. Having missed the cut in last year’s Thailand Open, McGinley is hoping for an improved performance at Thana City Golf & Sports Club. “I like the golf course and I prefer it to the one we played last year. I did not play particularly well last year, although it was a good golf course,” he said ahead of his opening round in the U.S. $1 million event on Thursday. Paul McGinley still managed to auction off his Ryder Cup captain's blazer for charity after it was missed by the thieves who broke into his car on Monday. When Paul McGinley writes his autobiography, put me down for two copies. Europe’s 2014 Ryder Cup captain will have some stories to tell and lessons to impart on despair, potential, frustration, exhilaration, learning and leadership. Paul McGinley hugs Scott Jamieson following his singles win on the final day of the 2011 Seve Trophy. Picture Jenny Matthews/www.golffile.iePádraig Harrington believes Paul McGinley will spend the next 18 months scribbling in his little black book and trying to get to know every rookie on tour. But the new Ryder Cup skipper won’t have to dig too deep into his notes when it comes to world No 72 Scott Jamieson. A pensive Paul McGinley crosses a bridge during Thursday’s first round. 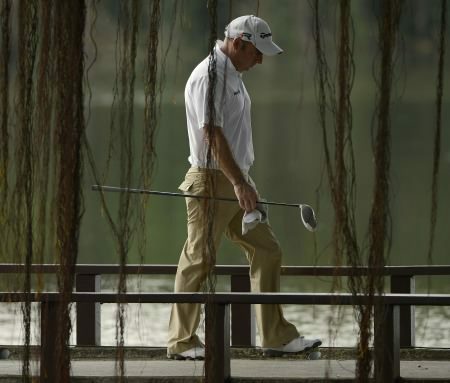 Picture via OneAsia.asiaEuropean Ryder Cup captain Paul McGinley was forced to retire with a recurrence of a back injury after just six holes of the second round in the Thailand Open.